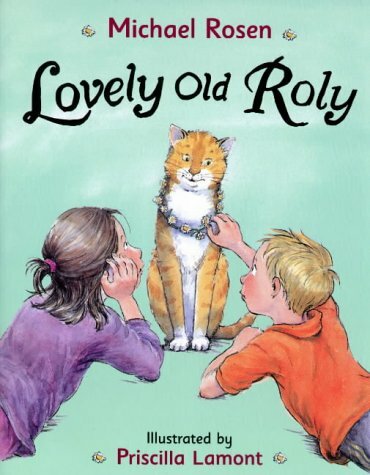 It is early spring when the children's dear old cat Roly dies. 'His legs are tired' and 'his whiskers are sad', and when they bury him in the garden, mum and dad are comforting: 'He'll always be in and around you somewhere.' Time must pass, routines must go on until one day a new puss appears at the door. Sausage gradually takes over their lives, and they are happy. But while Sausage is with them most of the time, the children understand that Roly is with them always. Rosen's tender words offer a child-like view of life and death, and Lamont's gentle watercolour pictures, depicting the passing of the seasons of the year as well as the seasons of grief, are truly perceptive.